It's been really quiet for a while so I tought I might start a topic about your winter project. For now, I am slowly working for my license, so far so good with 2 hours of flight. I am also begining to think about a few mods to the lazair like a compensator and instrument pod. I bought an airspeed and altimeter. What are you guys up to ? I've been laying low for a while. I'm currently flying a Varieze after I installed a new avionice system in it. I'll be moving again next summer and once the dust settles I will be starting to restore a series III. Compared to when I started on B034 it's in great shape and my plan is to try and make it as nice as I can. It's a fairly stock plane, but does have one nice mod that I really like. It has tubing that runs inside the spar web box so that all the fuel and wiring is inside the wing. It starts as the wing root rib and ends right next to the nacelle. Very cool. Flying around at 170 is fun, but I still prefer a flight in a Lazair were I never go over 35. Good idea for a soundoff. I am about to start fixing my series III and rebuilding another for my winter project. I am also beginning to rebuild my collection of JPX engines. I just finished disassembling 15 of them. yes, 15. i had no idea i had collected so many over the years until i got them all in one place. Dave, Daffy's lazair has that conduit as well, but we ran into fuel problems because the fuel line came out of the top of the wing, and then ran back down to the carb. the uphill-downhill tube caused a fuel bubble at the top and gave fuel bubbles to the carb, which seems to be the biggest gremlin you can have in a fuel system. When I redo my series III, I think i'm going to try the conduit but keep it just above the tedlar on the bottom surface and have it poke through the skin maybe. we'll see what i come up with. a good goal with fuel line is to always keep it going uphill from the tank. Shannon told me this 10 years ago and it is just as true now as then. merry xmas everyone, fly safe! Yes, the tubing allows for the fuel line to go uphill all the way, a key point as you mentioned. 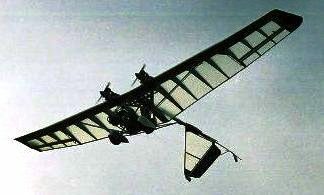 The lines do exit on the bottom of the wing through the Tedlar. It's a nice neat installation. I thought I'd chime in after a few years, I now have my damaged wing in the basement to repair my dented box section. The parts that I got from George looks likes they will fit perfect. (Thanks George) After tearing into the box section, I noticed a differance in the rivets (mandrel depth) that hold the leading edge mount bracket to the D cell. After peeking into the D cell the outter most rivets had streached to the point where the rivet heads had snapped off into the D cell. I could pull the rivet body out with a pair of pliers. Any body that has had the wing pull back should take a close look at those rivets to see if there are any differances in how the rivets look. Just waiting for the wind to quit blowing. It's one Arctic blast after another. Low 25 night before last.... DOWN HERE no less ! Eric you are going to have to step it up with your posting schedule !!! Haa Haa !!!. Any pictures of what you have going on there. I think if I were re-doing the front wing attach fittings (I think that's what you are talking about) I'd go Elite and Two-Seat style and bolt the fittings (new fresh ones) in place to the spars. You also could as-per the Series III JPX engine upgrade kit instructions reinforce your existing wing attach fittings with angle doublers and extra rivets. Here take a look. I did this on a rebuild years back. 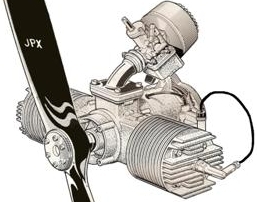 JPX engine upgrade Series III wing modification instructions. If you are wondering why there is primer on the spar in the picture it's because these D-cells had corrosion that I had to deal with. Acid etching, cleaning, and spraying with Zinc Chromate stops the corrosion.